It seems like spring is finally here, and we've switched from the cold and dreary to the warm and sunny! Over the past few months, I've gone into many schools around Long Island and presented electric violin workshops. In these workshops, I demonstrate looping using a number of Top 40 hits, many of which I also have on my YouTube Channel. In a matter of minutes, I have the entire orchestra playing multiple lines of "Get Lucky" and sometimes students will even get up and solo. Here's just a little sample of me looping with the Riverhead HS Orchestra! After doing many of these workshops, I've learned a lot about what students are doing in their school orchestras. I even was lucky enough to do a workshop with my middle school orchestra conductor's orchestra, which was truly special; we talked about how crazy it was seeing things come full circle. These workshops have inspired me to continue building my program and begin reaching out to schools across the United States. The feedback has been overwhelmingly positive and I've already begun having multiple requests to come back next year at many of the schools I've presented at so far. Here are a few pictures with the students from these workshops. If you are interested in having me at your school for an electric violin performance/workshop or know of any schools who you think would be a great fit, please e-mail me at davidwongviolin@gmail.com. I'm looking forward to working with many more schools in the forthcoming school year! You might say I'm a little "Happy"
Well, it's been awhile since my last post, but I'd say there's definitely a bit to talk about now! Over the past few months, I've been consistently putting up about a video a week. These have ranged from some violin loops, to live string trios, and, most recently, a violin, guitar, cello, bass, quartet rendition of Pharrell's "Happy!" This most recent cover has gone viral and, as of this post, has almost 170,000 views and was just featured on Good Morning America an hour ago! I was so excited when I heard about it. Nothing feels better than seeing your music on television for millions of people to see. In the near future, I hope to make even more music with this group. I will have a live show featuring some loops and covers with these folks at Ella Lounge in NYC on April 16th at 9pm. I'd love to see you there. It should be an absolute blast! America's Got Talent and Good Morning America! Well, the past few weeks have been a whirlwind. First, I had the opportunity to play violin on America's Got Talent. I performed with many of the finalists including Branden James, Cami Bradley, Forte, and the eventual winner, Kenichi Ebina. 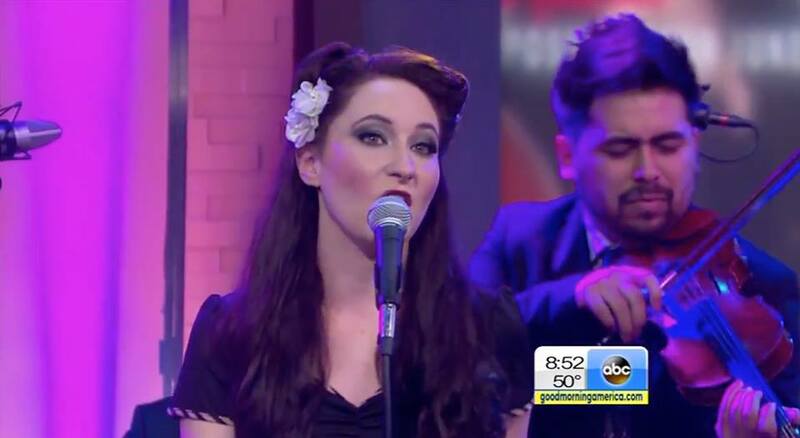 Just yesterday I performed on Good Morning America with Scott Bradlee and Postmodern Jukebox. Scott creates "throwback" covers of popular tunes, often in the style of ragtime, 40's jazz, and swing. I've performed on a few of their YouTube videos including this bluegrass cover of Ke$ha's "Die Young." When he called and asked if I wanted to join them on GMA, I said absolutely! Our performance was completely live, but it was interesting to see how things were put together. While we sound checked, we rehearsed 25-30 second clips to create "bumpers" before commercial breaks. These were tweaked on the fly and I was impressed how they ended up fitting perfectly. All in all it was wonderful to see everything go so smoothly and I hope this is just the beginning of great things for Postmodern Jukebox. I'm looking forward to future performances! The video below shows the 3 song medley we performed in its entirety. 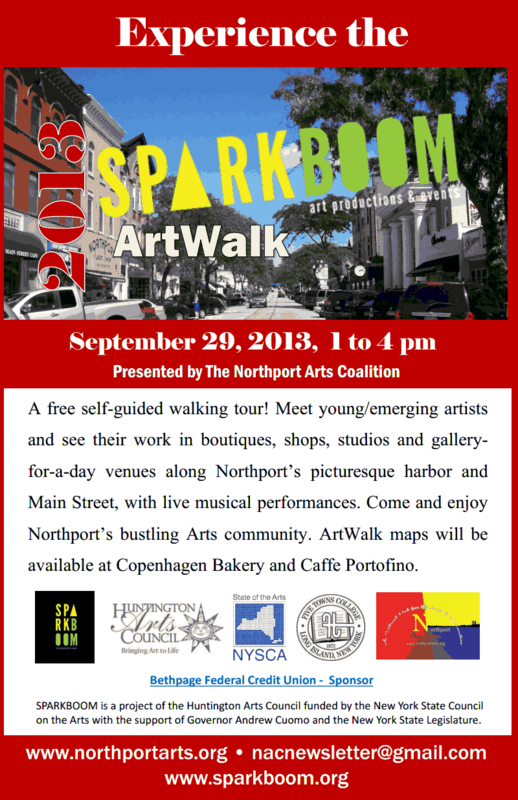 That's all the TV stuff for now, but in the meantime I've got a performance this Sunday, 9/29 for Art Walk 2013 in Northport, Long Island. I'll be playing some instrumental covers of pop tunes outside of Heartichoke with my guitarist Bryan Mulholland from 1-4pm! Hope to see some of you there. All of the information is below. This past weekend, I decided to record my own version of Katy Perry's new hit single "Roar." It was fun to put my own twist on the song with some improvised riffs and make it into an instrumental jam. This past month, I've put out two new videos. A cover of the "Cups" song, made famous on YouTube and the movie "Pitch Perfect" as well as a cover of Elvis Presley's "Can't Help Falling in Love," with me handling both vocals and violin at the same time. I posted a brand new video of me jamming outside on the porch yesterday. It's already got almost 10,000 views after a day. Watch, and feel free to download it as well! Pay what you want for my Outdoor Violin Loop! New Tumblr and Viral Video! A couple of wonderful things happened yesterday. My Tumblr entitled "Stock Photos of Violinists" and my violin cover of Muse's "Hysteria" both went viral! It's been exciting to see them spread around on Facebook and Twitter. Below are links to both! I just created a string trio cover of Zedd's Clarity with Stephanie Price and Nikita Annenkov. Below are the links to the video as well as iTunes and Loudr! My "Get Lucky" Cover has gone viral! After hitting the frontpage of reddit, my violin loop of Daft Punk's "Get Lucky" has gone viral, hitting almost 160,000 views as of this post and still climbing! Here are a couple articles I've found so far! Really looking forward to creating more loops soon. Here is my latest YouTube upload. It's a loop of Daft Punk's Get Lucky. This song has been stuck in my head since the day it came out and it was time for me to cover it. I hope you enjoy! My EP is on iTunes! My EP and "Heart Attack" video are now out! I'm pleased to announce that my EP and Heart Attack cover video are now live! Buy my EP on Loudr.fm! I'm pleased to unveil my brand new website! Keep up to date with all my new videos, performances, and blog posts right here. Tomorrow I will be releasing my newest video along with a 3 track EP! In the meantime, check out my latest videos on YouTube and subscribe!